The staff at Mahjong Time is pleased to announce the games selected for the honor of Best Games of the Week. These contests were played from December 31, 2007 to January 6, 2008. Please note that only cash games are eligible to be selected for the Best Games of the Week and only Mahjong Time members are eligible to view replays of these games. All Mahjong Time members can comment on these great games. Below you’ll find instructions on how to access the three Best Games of the Week played from December 31, 2007 to January 6, 2008 and all further games in this highly competitive contest. Please remember that all 3 of these games will participate in the Best Games of the Month contest and the winner of the Best Game of the Month in each category will earn a prize of $150. There will be 3 total prizes for each mahjong style (HK,CO,JM)! Once you review the games, you’ll be able to share your thoughts on them with the entire Mahjong Time community through our blog. In order for your observations about the Best Games of the Week to be considered by our judges, you’ll need to use your real Mahjong Time nickname. Anonymous comments or those with unregistered names will not be used in our evaluation process. You can watch the game at your own pace and, post your comments on our blog. Remember that in order to do this you’ll need to have a Mahjong Time subscription. This is a prime time for mahjong players to join the most competitive, innovative and secure mahjong site on the Web. Remember that, a subscription will give you easy access to the exciting cash games that have been selected as the Best Games of the Week. Furthermore, you’ll be able to share your insights into each of these games with the entire Mahjong Time family. Subscribing is fast and easy. There are various membership plans from which you may choose. 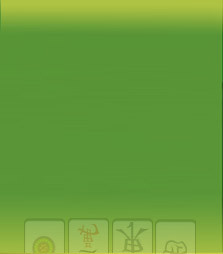 Simply login to your MahjongTime Account: http://www.mahjongtime.com/Mahjong-SignIn.aspx and click on Subscribe banner on the home page of the game. We look forward to reading your reactions to our first three Best Games of the Week, and we hope that you’ll continue to enjoy the competition, camaraderie and good times that you’re guaranteed to find at Mahjong Time.